Do you Know A Buyer for this home? Hello everyone, I hope you’re doing great! 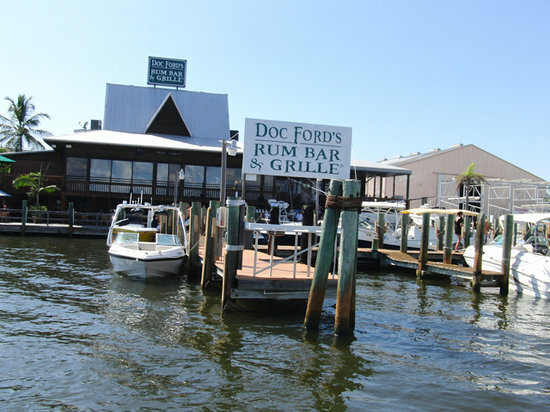 We have been very busy here in Southwest Florida since our last issue of the Boating Guide. The weather has actually gotten warmer since we spoke last and it is beautiful out, a little windy, but sunny blue skies. The snowbirds are definitely coming down, roads are filling up. 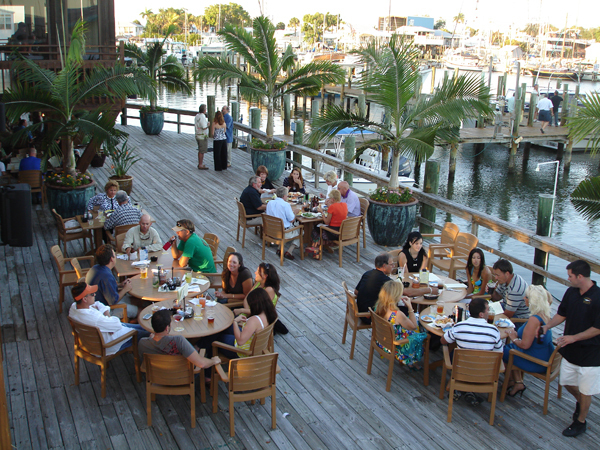 Restaurants are busy, the waterways are full of boats, and people are enjoying the climate, fishing and beaches. The fishing here continues to be on fire! I’ve spoken to many of my friends who’ve been on the water fishing and they’re catching large mangrove snapper, large Snook (which are being released because they are out of season), and catching lots of Redfish, as well as Mackerel off the beaches. The bait fish are everywhere with big threads at the Sanibel Causeway. Small white bait and green backs are being caught off of Fort Myers Beach and the grass flats. Now is a great time to have your line in the water !!! Another great thing is, the Army Corps of Engineers has stopped dumping water from Lake Okeechobee into the Caloosahatchee River. Our waters have become so clear it is absolutely amazing. I wish the water would stay like this year ’round! We are getting lots of Snook, Redfish, Snapper and many other species moving up the River again. There are large schools of mullet and dolphin migrating back up into the River as well. NEW: At the September meeting, the FWC Commission eliminated the February 1 through March 31 grouper closure for black, red, yellowfin, yellowmouth, rock hind, red hind, and scamp. These species of grouper are now open year-round in state waters of the Gulf. My fellow anglers are pulling in lots of Grouper, Cobia and Permit out on the artificial wrecks and ledges. All this talk of fishing makes me want to skip out on work and get on the water… I just may have to go grab one of my clients, take the boat out, and see what we can catch! I’ve spoken to several of my friends who are still up North – they sure are getting a cold snap! Lots of snow, ice and freezing weather with the wind chill pushing the thermometer below freezing. I’m so thankful and grateful that I live in sunny Southwest Florida. date on our local real estate market, whether it be on the water or off the water, feel free to email me and I will set you up on my Listingbook program. Listingbook is a free service that I provide to my clients that will send you emails each day of new listings that come on the market as well as price reductions on properties that fit within your chosen parameters. I think you’ll like it, it’s a great way to explore the area and a great Real Estate tool. Okay now on to the fun part, “The Boating Guide: Lobstering in the Florida Keys Mini Season Part 4”. We left off last time with our second group of people and small children going out in the boat and catching more lobster in the afternoon. What a great time it was! After a good night’s sleep we headed out for the second day of mini season in the Florida Keys. We headed out to several of our spots on the the north side of the Keys, Florida Bay, but did not do quite as well as we did in our morning venture. Many of our Bay spots were cleaned out so we decided to go out on the Atlantic Ocean to some patch reefs in about 25 to 30 foot of water. Once we got to our spot, Wade and I strapped on scuba tanks and went down for a look. This area is full of coral heads and sea fans; just a beautiful, beautiful place to dive. Crystal-clear with a visibility of over 40 feet, there’s so much marine life! I cannot even begin to name all of the different creatures we saw. Our harvest on that side actually turned out to be pretty good, catching about 12 Lobsters here. We also saw several small Moray Eels. Check out some of these photos…. We did not take quite as many photos this afternoon, as we did earlier in the day. We had caught nearly our limit of lobster so we headed in a little early. We met up with our friends at the dock; they did very well for the day limiting out on their catch. Check out the photos…. Another amazing day on the water! Just absolutely beautiful; words cannot describe what an amazing place this is. The next morning we woke up and the whole crew took the boats out on a 10 mile ride to Alligator Light Reef, a marked reef with a massive light house off the lower keys. It’s a protected zone that allows no fishing, no spearfishing, and no taking of wildlife. Take a look at the photos, you’ll see the amazing beauty this reef has to offer. Sea life abounds here. It is one of my favorite places in the Keys. Want to learn more about Alligator Light? What a fabulous boat ride to Alligator Light Reef. The water is a brilliant crystal clear with a light blue-green tint to it; if you read the history, the lighthouse keepers referred to the water as “gin clear”. You could see the bottom all the way out to the reef. We saw several Loggerhead Sea Turtles as well as massive schools of Ballyhoo, which are a type of bait fish. Check out the photos…. When we arrived at Alligator Light, everyone anxiously got into the water and started swimming around. All you could hear was the children oohing and awing through their snorkels… “Mom, Dad, look at this, look at that, what kind of fish is this?” Even the adults were amazed to see all the marine life at Alligator Light, it/s like Marine Biology 101… Words cannot even describe the beauty of this incredible place… Enjoy the photos…. Fish, fish and more fish. Every species you could think of. In the first photo above you’ll see Barracuda, Parrot Fish, Yellow Tail, Grey Snapper, and millions and millions of bait fish. Check out these videos of my son filming the base of the lighthouse underwater. You have probably never seen anything like this before! TURN UP THE VOLUME and listen to the popping shrimp underwater… it is like a million crackling noises all at once…….. I did ask Anne and my buddy Craig, do you want to hand feed the fish??? They were both like, seriously?? Yes seriously.. Check out the photos…..
Just an incredible experience, especially if the person has never done it before. Well by now it was time to say goodbye to Alligator Light. These children, and of course their parents, will never ever forget this day as long as they live. The things they saw and experienced today can never be duplicated until they come back to this magical place. Growing up in the Keys, I have been to Alligator Light many, many times and I’m still in awe with each visit. To be able to take friends and family out there and to see their excitement and enthusiasm is just an amazing feeling that I’m grateful to be able to share with other people. Another Fantastic day on the water! 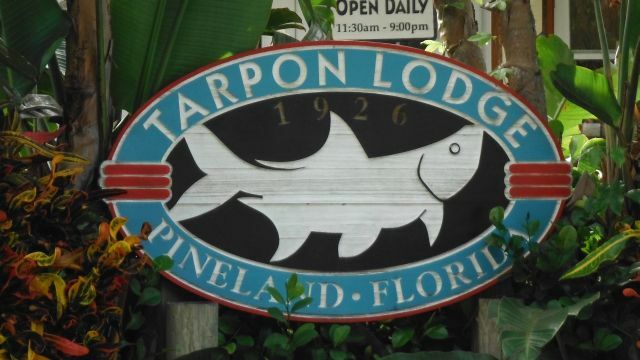 However, this day is not over yet… Going to head to “Robbie’s” to hand-feed the Tarpon and have a fabulous lunch and drinks on the water. Sorry, but you will have to wait for the next edition of The Boating Guide: Lobstering in the Florida Keys Mini Season Part 5. Hello everyone, hope you all are doing great and had a wonderful week. The weather continues to get cooler and cooler in Southwest Florida and it is so beautiful at night. The days are even nicer being cool, bright, and sunny with less humidity. We are seeing more and more snowbirds coming down to our area. The roads are filling up as are the waterways where we go boating. This is so very good for our economy and for everyone in our area. The fishing here continues to be red-hot! I have many friends who are going offshore and catching their limits of Gag Grouper and Red Grouper. Anglers are catching Permit and Cobia on almost all of the artificial reefs in the Gulf . The inshore fishing is just as red-hot for Snook which are now in season, along with Red Fish and Trout which can be found on the grass flats. If you are not catching fish this time of year, you must not have a fishing line in the water! Waterfront real estate continues to move right along. There were quite a few new pending sales in the last couple weeks and more closed/sold properties on the water. If you would like any information on waterfront properties in Southwest Florida, or even properties off the water, I will be glad to set you up on my database program that is totally free and will keep you automatically updated on new properties that come on the market, as well properties that go pending, and closed properties. We left off last week with the crew coming in with our daily cash limit of lobsters – what a great morning it was! We loaded up the other families in our group with all the smaller hildren and took them back out to scout for more “bugs”. Everyone was so excited to go out after seeing our morning catch with the other families. We searched and searched and searched for more bugs! Many of the spots were cleaned out but the kids were determined to find more lobsters. We arrived at another spot and all the kids wanted to get into the water and snorkel around to see the marine life. Fish, lobster, snails, shells – all kinds of sea life! It was like a marine biology trip for the children and even for the adults! Please remember, most of the adults were from Chicago and had only seen these types of wildlife in an aquarium (or at the grocery store. After exploring the area for a while, it was time to get out and search more ledges for lobster. Everyone was so excited and enthusiastic to find more lobster and to get more snorkeling time. Check out these photos of happy kids. While driving along we found another ledge; take a look at this photo. This is what we see from the edge of the boat above the water, looking down into the water. This is what it looks like in the water while swimming down to the ledge. It’s so cool what we’re able to see underwater on the ledges – crabs, fish, lobster, Moray Eels, tiny shrimp – just amazing! We had a pretty full afternoon and the little kids were beginning to get very tired as you will see. But they did have a ball; what a great day. As we headed back into the channel, who do we see, but of course, the teenage kids out fishing! They could not get enough of it. Getting back to the dock is the fun part! That’s where the kids get to watch us clean the lobster, take photos with the lobster, and touch them – oooohhhhh!!! Guess what we had for dinner? Fresh baked lobster, fresh grilled lobster, fresh boiled lobster, all with drawn butter, yummy!!!! What a fantastic day today! It’s so great to see the enthusiasm and excitement on all the children’s faces, especially the younger ones. The knowledge they’ve gained from experiencing and learning about our ocean and all the animals that live in it is priceless – just a great, great day! Remember, take time for your family and friends; time goes by so fast. Look for Lobstering in the Florida Keys Mini Season Part 4 next week. Until then, make it a great day!!! Hello everyone, I hope you have had a wonderful week!!! We are doing great here in Southwest Florida and the weather is beginning to cool down some. The fishing for Snook, RedFish, and Trout has been red hot. There are even Tarpon off the beaches right now chasing pods of bait. The offshore Grouper bite has been hot as well. I cannot wait to get on the water and wet a line! The Real Estate Market is still moving right along. If homes are accurately priced to reflect today’s market value, they are selling. Of course, the homes that are overpriced continue to sit on the market waiting for buyers. As you know, interest rates dropped again this last week with 30 year fixed rate loans just above 4% and 15 year loans just above 3%. Keep in mind this will vary some from lender to lender and depend on how many points you may, or may not, pay. As I said before, the homes on the water are moving. All price points are selling – from Gulf access homes in the high $100,000’s to the multi-million dollar homes. There is also a lot of new construction going up all over. In my neighborhood, there were three homes scraped and new homes are being built right now. I am seeing more and more of this type of turnover in many of our waterfront neighborhoods. The snow birds are already here for the holidays, the roads appear to be filling up, and the restaurants are getting busy. I do not see a slowdown in sales of waterfront property; there is only so much of it and people from around the country and overseas want their own piece of paradise. If you are curious about what you can get for your money in Southwest Florida, or specifically about waterfront property values, please feel free to contact me and I will set you up on my FREE program that will automatically e-mail listings to you when they come on the market. It’s a neat program and I think you’ll enjoy it. Okay now on to the fun stuff..
We left off last week down in the Florida Keys looking for Lobster and scouting out new spots before the mini season opened up. If you missed last week’s Boating Guide, go to my archives and look up Lobstering In The Florida Keys Mini Season Part 1. Well today was the big day. The opening of Mini Lobster Season in the Florida Keys. We all got up at about 4:30 am as to get the boats loaded, beat the crowds of boaters out onto the water, and get to our secret spots. We ran about 7 or 8 miles South, Southwest to our spots. What an amazing ride, so quiet, so peaceful. When we finally got to our spot, it was still dark out, so we got our lights and gear and splashed in to the water. The first spot had a few on it, nothing to write home about. Below is Paige and Mr. Craig; they would double check the size of the lobsters to be sure they were legal size. We decided to move on to another spot, when we got there, we saw a lot of tentacles sticking out from under the ledges. Everyone jumped in. It is good to have spotters so if you are reaching up under a ledge and the Lobster shoots out the other end, you have a spotter to chase him down and get him!!! The spot we were on had a deep ledge, so we needed to bring down a scuba tank with us. My son Wade went to reach into one hole and out popped a Moray Eel. Bad news! They have razor sharp teeth that will slice you wide open, not to mention their teeth angle backwards, so if you try pulling your hand out of its mouth, it will tear your hand up. Wade decided to leave those Lobsters in that hole where the Moray Eel was. Check him out…. It was okay though, we had several other ledges to check out that were full of Bugs.. (Remember Lobsters are also called Bugs) We had everyone in the water – the catchers, the spotters, the chasers – everyone plays a roll, an important roll. Enjoy these photos…. Remember I mentioned earlier, we have spotters up above that watch for the runaway bugs!!! Well, Anne saw one getting away, she wasted no time and caught him, bare handed by the way, no gloves on!!! It tore her hand up some, but she was not about to let that bug get away! I gotta tell you what Team Work we had. Bernie, Craig, Wade, Anne, Tyler, Paige we all had our positions and jobs to do, Team work!!!!! We found another ledge full of bugs. We all took our positions. We had to bring down the air tank this time so we could get more bottom time…Craig was on his mark to be sure no bug escaped!!!!! We did great at this hole. By this time we had reached our limit of Lobster. So we decided to head on back in to get the other kids so they could have a chance to catch some bugs as well. This is all the time we have this week so stay tuned next week for our afternoon Lobstering outing with all the kids. Until next time, make time for your Family and Friends. Time goes by so fast. Just DO IT!!!! Make it a great day!!!!!! !